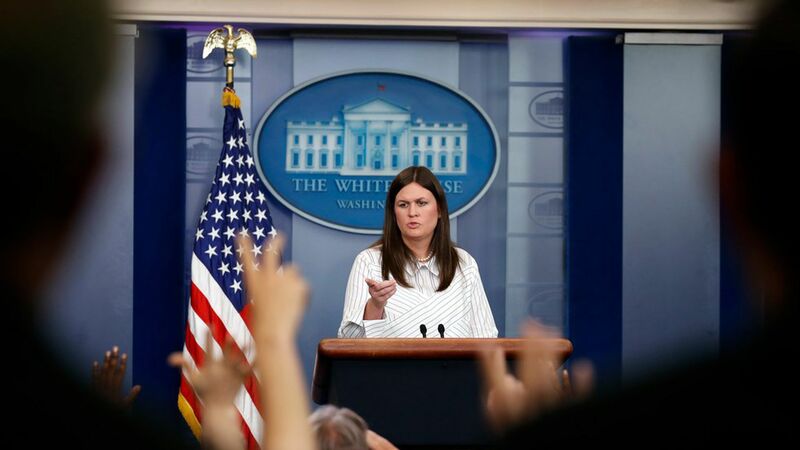 "I think it's sad that after Hillary Clinton ran one of the most negative campaigns in history and lost, and the last chapter of her public life is going to be now defined by propping up book sales with false and reckless attacks," said Sanders. As for whether Trump will read it? "I would think that he's pretty well versed on what happened." Trump will travel to Florida on Thursday to survey the damage from Hurricane Irma. Tax reform: Sanders said tonight's dinner with senators from both parties is the first step in getting a bipartisan deal. On Bannon claiming Comey's firing was a "historic error": "It's been shown in the days that followed that the president was 100% right in firing James Comey," said Sanders, noting that he leaked privileged information. The president feels "fully vindicated," she added. Should the DOJ prosecute Comey for being a leaker? Sanders said it's up to them but it's something "they should certainly look at." Immigration: "We want responsible immigration reform. That hasn't changed. The president's very committed to the wall." Is Trump comfortable with Don Jr testifying on the Hill? "The president is comfortable with us being fully transparent and cooperative with this process."